When Jozefa Ortiz Rosa of Tarrales, Guatemala, started losing her vision, she worried about her future. Her husband had died years before, leaving her with six children to raise and a coffee crop to tend. Her older children had taken over the farming, but she still needed to care for her younger children and grandchildren. "I used to have trouble with my sight, soon after discovering that I had nodules," Ortiz Rosa said, referring to the skin bumps that are a sign of onchocerciasis, or river blindness. The disease begins when tiny parasites are transmitted through the bites of flies. The flies breed in fast-flowing water, where coffee plantations and farms thrive. A nodule forms under the skin, and the parasites live there before eventually moving to the eyes. In Latin America, The Carter Center has been fighting the disease since 1996. Ortiz Rosa had surgery to remove the nodules, and she was one of the first in line when the medicine Mectizan® began to be distributed in Guatemala in the late 1980s. 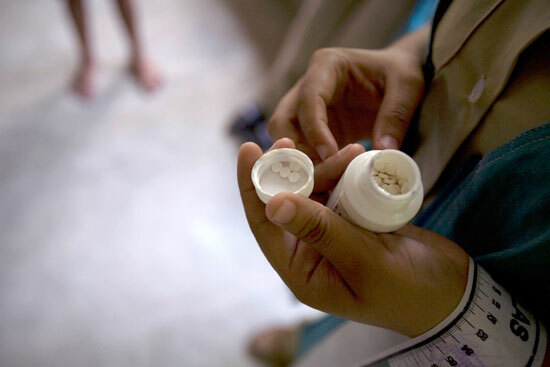 The drug is provided twice a year through the Carter Center– sponsored Onchocerciasis Elimination Program of the Americas to both treat and prevent river blindness. Health workers aim to reach more than 85 percent of the eligible population in endemic areas with medication and health education to eventually halt the disease, eliminating it from the hemisphere. Considerable progress has been made: In 1996, the Center was working in 13 areas of six countries. Today, endemic areas have been reduced to six pockets of four countries - Mexico, Guatemala, Venezuela, and Brazil. Now 82 years old, Ortiz Rosa sees clearly. She lives with one of her children and two grandchildren and helps with daily chores around the house. And she still takes Mectizan - donated by Merck - twice a year, when health workers come to distribute it. "My vision cleared after I started the Mectizan," she said. "Now I can see again. I can see perfectly." 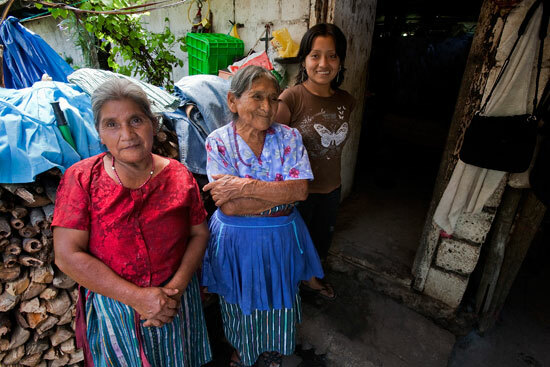 Jozefa Ortiz Rosa (center) was losing her sight until she began regular treatment for river blindness. With treatment, the disease has spared Ortiz Rosa's daughter and granddaughter (left and right, respectively). The Carter Center has assisted with the distribution of Mectizan® in Latin America for 15 years. 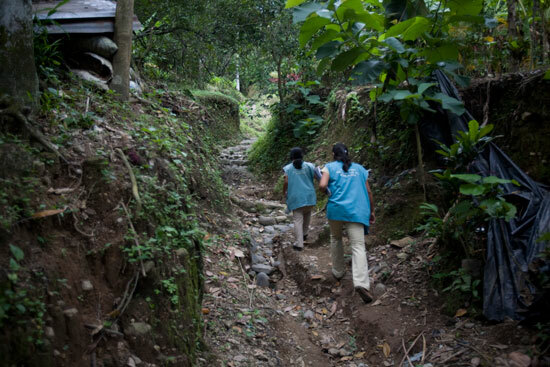 Two health workers travel through the Guatemalan jungle to educate communities about river blindness and distribute Mectizan.